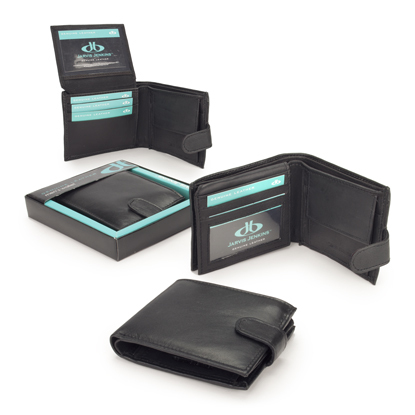 Gent's stud fastening, folding wallet. Produced from genuine leather. Two note sections, expanding coin compartment, two receipt pockets and a flip section with five credit card pockets and two clear ID/pass pockets. Supplied in gift box.